Fully lined medium weight ladies jacket. Dry clean only. Sizes 10-24. 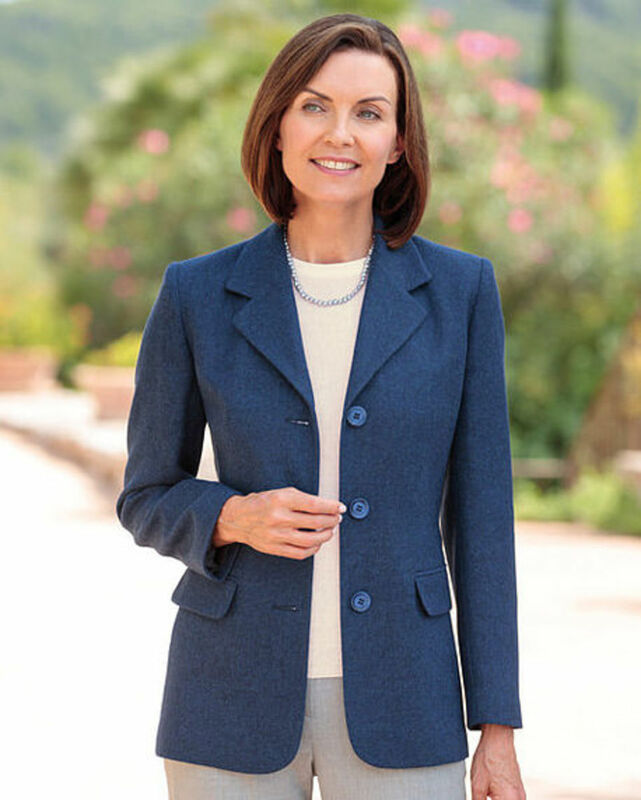 Ladies fully lined, three button style jacket with gently shaped lapels and darts. 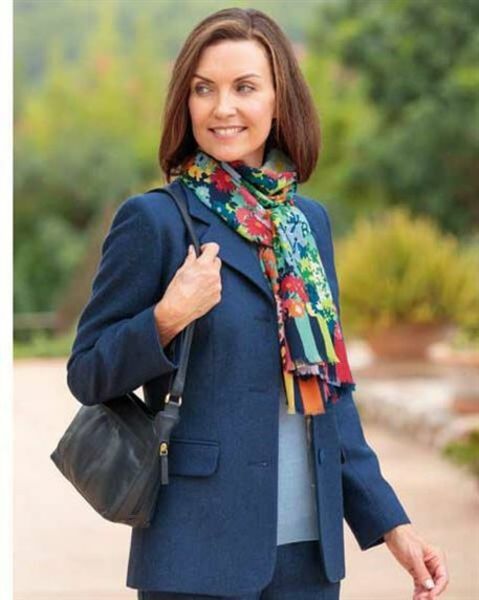 Single breasted with front jetted and flap pockets. Medium weight pure wool midnight blue tweed. Woven for us in the UK. A versatile elegant addition to any outfit.